Did you see something that could help police catch murderer? Police officers investigating the murder of 26-year-old Euan Johnston have launched an appeal for information about a car that could be linked to the crime. At around 11.40pm on Tuesday, November 15, Euan was sitting in a black Audi RS4 on Shields Road at Scotland Street, when he was shot by the occupant of a dark-blue Audi Q5 that pulled up beside him. The Audi sped off onto Scotland Street then onto West Street and headed onto the Kingston Bridge. It then travelled down William Street in the city centre, up North Street onto the M8 at Charing Cross, exiting the motorway at the Springburn junction and drove up Springburn Road, turned left onto Colston Road, left onto Ashgill Road then onto Bracken Street. The car was later found burnt out near Balmore Road. Another car, thought to be a dark-coloured Volkswagen Golf, was seen travelling fast on Balmore Road at around 12.05am on Wednesday, November 16, and it is this car that police are looking for information on. Detective Superintendent Jim Kerr, the senior investigating officer said: “As a result of last night’s operations, we have received information on a dark-coloured car, possibly a Volkswagen Golf, being driven at speed in Balmore Road around 0005 hours on Wednesday 16 November 2016. “This was near to the area where the Audi Q5 was set on fire. “At this time we do not know if the vehicle is linked to the murder inquiry, but we cannot rule anything out. We are currently studying CCTV footage from the Balmore Road and Parkhouse areas and will be carrying out further enquiries in the area to gather more information. There are additional officers on patrol to provide public reassurance, and I would ask anyone with concerns to speak to officers. “In terms of the Audi Q5, I would ask people to think about whether they may have seen an Audi Q5 for sale at a reduced or discounted price, or if an Audi Q5 was offered to you for sale. The Q5 was stolen in May 2016 with original plates - SW62 NGU, however it’s unlikely the car was being sold with its original plates and more than likely had the registration number of VN61 LZA – which was the registration plate used at the time of the shooting. Anyone with information is asked to contact the Incident Room through 101 or on 0141 532 4128. 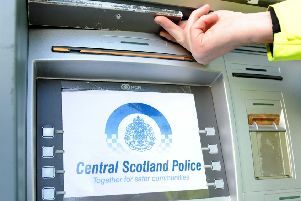 Email officers at operationtrahira@scotland.pnn.police.uk , or text the inquiry team on 07541 336824.